Food Allergies – The disease symptoms caused by food reactions are many and varied. Depending on the individual, the allergy can manifest problems throughout the entire body depending on susceptibilities. Food allergies can cause sneezing, rashes, itching, arthritis, nervous health-issues, concentration problems, insomnia, headaches and chronic fatigue. Recently, we have seen cancer, diabetes, multiples sclerosis and schizophrenia have been linked to food allergies. 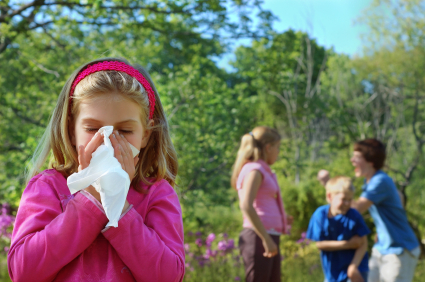 Allergy sufferers find that they are allergic to the foods they eat frequently and like the most. In IgE mediated food allergies, the immune system triggers IgE antibodies to bind with food protein (also known as the allergen) activating cells throughout the body to release histamine and other chemicals that cause inflammation and allergic reactions throughout the body. These can be immediate or delayed, from a few seconds to 48 hours. In non-IgE mediated food allergies, the immune system responds directly to a food protein, causing the release of certain chemicals leading to milder reactions primarily in the GI tract. This can lead to protein-induced enterocolitis, gastroenteritis, and esophagitis. 95% of adverse food reactions fall in this category. Standard allergy testing can only test for IgE mediated allergies, making an elimination /challenge diet very effective for determining the allergy. To effectively do this, take the suspected food out of your diet for 7-10 days, and then re-introduce it on an empty stomach and without other foods. Test your pulse before and after eating the food. If your pulse rises more than a few beats per minute, or if you have any adverse reaction, you are probably allergic to it. Oral Allergy Syndrome comes from the ingestion of pollen on certain fruits and vegetables that triggers tingling, itchiness, swollen tongue, lips or throat. Cooking or peeling can help prevent this reaction. It becomes especially important to buy organic grass-fed beef, raw dairy from grass-fed Jersey cows (Holsteins are used in most large production American dairies and contain mutated beta-casein that converts to histidine; France has rejected these cows due to inferior milk), free range eggs and meat from chickens fed a natural diet of bugs and worms when allergies are present. What may appear like an allergy to meat, dairy and eggs may in fact be masking a reaction to the grains or soy fed to the animals, the insecticides used on the grains, or the antibiotics given to the animals. When buying anything in a package or box, be sure to read labels carefully. Wheat, corn and soy are pervasive and ubiquitous in the processed food supply, usually under other names that the average consumer would not recognize. Buy as much food as possible from the farmers market, and when possible, cook meals from scratch. The more time spent in the kitchen, the less time there is spent sick. People with poor adrenal function are often unable to tolerate carbohydrates or digest meat very well due to suppressed or absent HCL production in the stomach due to a deficiency of vitamin B6 and zinc, both needed for the production of pancreatic enzymes, or of insufficient chloride due to a low-salt diet. Some people are sensitive to the nightshade family: tomatoes, potatoes, eggplant and peppers – and react with sore and painful joints, leading to arthritis. Sugar, wheat, pork may also cause arthritic pain. Egg, milk, seafood, peanuts, chocolate, corn, and nuts are common offenders. Autistic children may be more vulnerable to food allergies because of abnormalities in their digestive and/or immune systems. Heavily yeasted foods such as vinegar, barley malt, alcoholic beverages, commercially pickled foods, soy sauce, Worcestershire sauce and aged cheeses, often exacerbate the symptoms of chronic yeast infections. Yeasts can actually change form, attach themselves to the walls of the intestine and grow in the intestine, causing holes in the intestinal wall that allows undigested food and toxins to enter the bloodstream. These toxins and food particles will trigger allergic reactions, especially when the body is under stress. Wheat and sugar are two common cravings in bulimic individuals. Milk, wheat, corn, egg, chocolate, nuts, tomatoes and hard to digest starches can all be important to avoid. Milk allergies are often linked to duodenal ulcers. Milk, fruits, chocolate, peas, beans, grains and eggs can all cause a reaction. Eggs, wheat, milk, chocolate, corn, cinnamon, wine, pork and nuts are common offenders. Peanuts, eggs, shellfish, tomatoes, chocolate, nuts, spices, milk and food additives are frequent offenders. Almost any frequently eaten food, or a natural gas exposure, can trigger this reaction. Milk is the prime culprit, along with wheat, egg, peanut, soy and corn. All of these can cause fluid behind the eardrum. Orange, tomato and chicken cause fluid also, but to a lower extent. Milk, egg, corn and wheat can cause the mucous membranes to become swollen, which makes it easy for microorganisms to begin colonizing the damaged mucus membranes. 1. Eco Laundry Detergent: Chemical free laundry that actually works! 2. Virgin Cod Liver Oil: Provides A, D and omega-3 fatty acids for immunity. 4. C-Salts Buffered Vitamin C Vitamin C is a natural anti-histamine. 1. Virgin Cod Liver Oil: To strengthen the immune system. 2. B-complex Plus by Pure Encapsulations : Helps the body cope with stress. 3. C-Salts Buffered Vitamin C : Vitamin C is a natural anti-histamine. 4. VSL#3: For improved immunity against allergens.